I feel the concepts surrounding this issue have been mentioned already via other sources (1 2) but I’ve seen at least 5 recent cases where our customers were being adversely impacted by this issue; so it’s worth describing in detail. 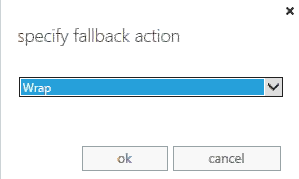 This happens because the Receive Connector was incorrectly created (which is very easy to do), resulting in two services both trying to listen on port 25 (the Microsoft Exchange FrontEnd Transport Service & the Microsoft Exchange Transport Service). The resolution to this issue is to ensure that you specify the proper “TransportRole” value when creating the Receive Connector either via EAC or Shell. You can also edit the Receive Connector after the fact using Set-ReceiveConnector. Historically, Exchange Servers listen on & send via port 25 for SMTP traffic as it’s the industry standard. However, you can listen/send on any port you choose as long as the parties on each end of the transmission agree upon it. Exchange 2013 brought a new Transport Architecture & without going into a deep dive, the Client Access Server (CAS) role runs the Microsoft Exchange FrontEnd Transport Service which listens/sends on port 25 for SMTP traffic. 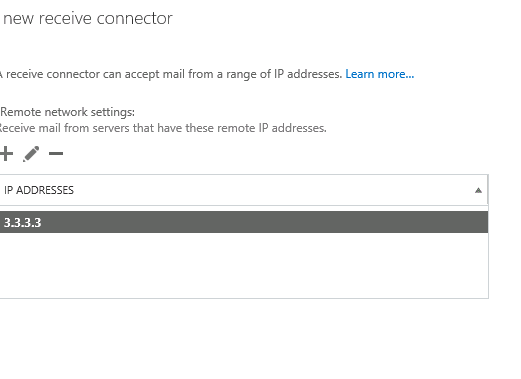 The Mailbox Server role has the Microsoft Exchange Transport Service which is similar to the Transport Service in previous versions of Exchange & also listens on port 25. There are two other Transport Services (MSExchange Mailbox Delivery & Mailbox Submission) but they aren’t relevant to this discussion. So what happens when both of these services reside on the same server (like when deploying Multi-Role; which is my recommendation)? In this scenario, the Microsoft Exchange FrontEnd Transport Service listens on port 25, since it is meant to handle inbound/outbound connections with public SMTP servers (which expect to use port 25). Meanwhile, the Microsoft Exchange Transport Service listens on port 2525. 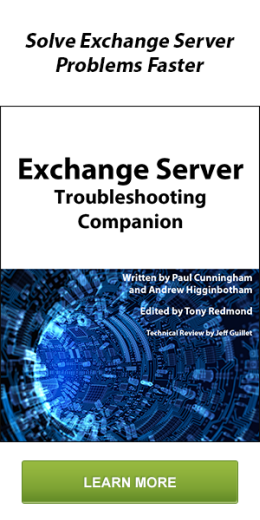 Because this service is used for intra-org communications, all other Exchange 2013 servers in the Organization know to send using 2525 (however, 07/10 servers still use port 25 to send to multi-role 2013 servers, which is why Exchange Server Authentication is enabled by default on your default FrontEndTransport Receive Connectors on a Multi-Role box; in case you were wondering). So when you create a new Receive Connector on a Multi-Role Server, how do you specify which service will handle it? 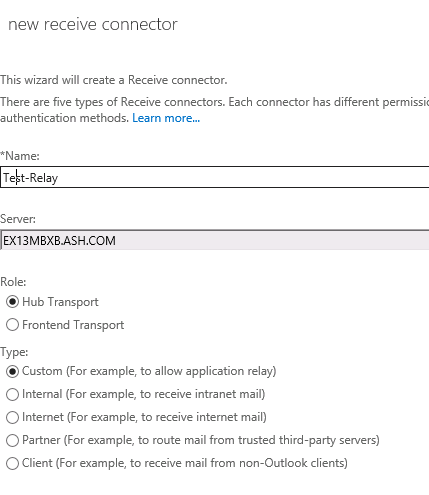 You do so by using the -TransportRole switch via the Shell or by selecting either “Hub Transport” or “FrontEnd Transport” under “Role” when creating the Receive Connector in the EAC. The problem is there’s nothing keeping you from creating a Receive Connector of Role “Hub Transport” (which it defaults to) that listens on port 25 on a Multi-Role box. What you then have is two different services trying to listen on port 25. This actually works temporarily, due to some .NET magic that I’m not savvy enough to understand, but regardless, eventually it will cause issues. Let’s go through a demo. Here’s the output of Netstat on a 2013 Multi-Role box with default settings. 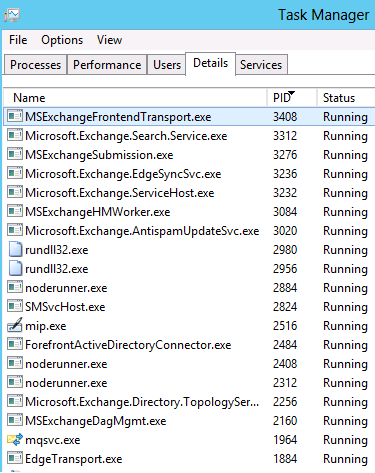 You’ll see MSExchangeFrontEndTransport.exe is listening on port 25 & EdgeTransport.exe is listening on 2525. These processes correspond to the Microsoft Exchange FrontEnd Transport & Microsoft Exchange Transport Services respectively. Now let’s create a custom Receive Connector, as if we needed it to allow a network device to Anonymously Relay through Exchange (the most common scenario where I’ve seen this issue arise). Notice in the first screenshot, you’ll see the option to specify which Role should handle this Receive Connector. Also notice how Hub Transport is selected by default, as is port 25. After adding this Receive Connector, see how the output of Netstat differs. We now have two different processes listening on the same port (25). I recommend you restart both Transport Services afterwards. 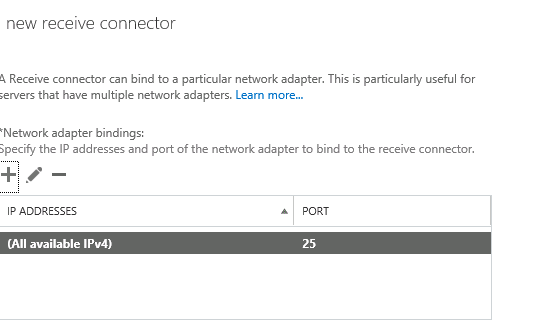 Update: In recent releases of Exchange 2013 (unsure which CU this fix was implemented in), the EAC will no longer let you mis configure a receive connector in this way. So hopefully we should see less of this issue.